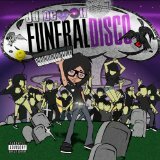 Funeral Disco (this album) (2010). Sorry, no matches on eBay for "Coolest. Girl. Ever. JJ Demon". Your feedback for Coolest. Girl. Ever.